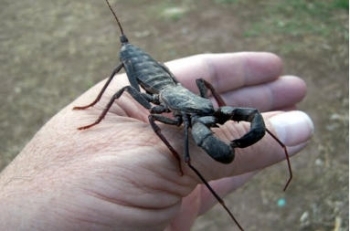 Whip Scorpion aka Vinegaroons are harmless, live primarily underground and come out at night or when it rains. They like to hide inside your shoes left outside, so look inside them before slipping your feet in. 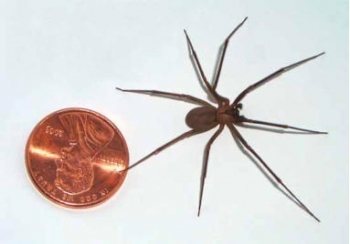 Brown Recluse are plentiful in the southwest. Shake out clothing, blankets, etc left on the floor or ground before using them to insure spiders have not crawled in them. These are not aggressive, but their hemotoxin bite can lead to necrosis (kills skin tissue). 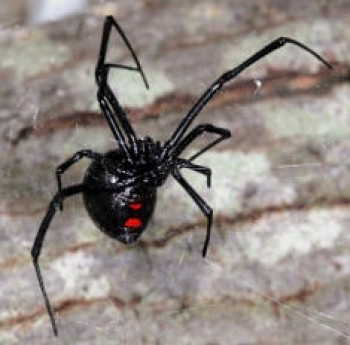 Black Widow spiders are aggressive and will bite if provoked. If you find any, let us know, we’ll gladly rid the park of them. 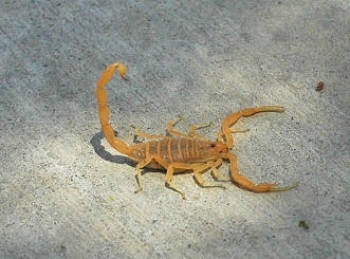 Called the Bark Scorpion, these are rarely seen out during the day. Flipping over rocks, buried objects may expose them and of course being nocturnal, they will come out to feed at night. Their sting is one of the most venomous in North America can be quite dangerous to humans. 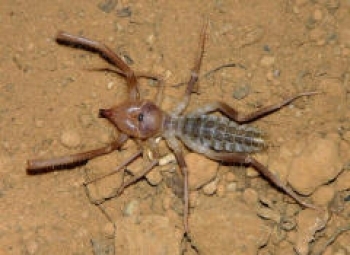 The banded desert centipede can inflict an intensely painful, though rarely (if ever) fatal, bite, or more accurately, a pinch. They puncture your skin with a powerful pair of modified, hollow, clawed legs located on the first body segment, immediately behind the head. They use the legs and claws like hypodemic syringes to draw venom from poison sacks within the body trunk and inject it into your flesh. 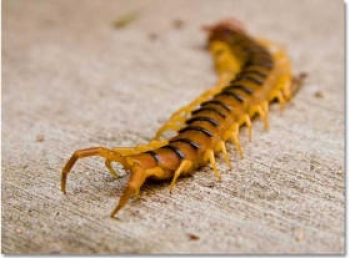 Additionally you might also experience small puncture wounds, laced with blister-causing venom, in the tracks where the clawed centipede crawled across your skin. So it’s probably best to leave these meandering critters alone! 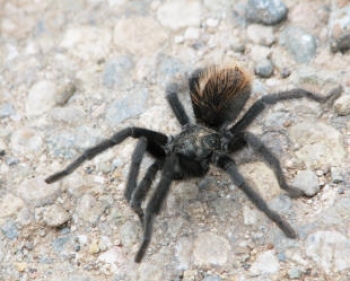 Typically, in the southwestern United States, tarantulas live in solitude in desert basins, mountain foothills and forested slopes. They occupy various kinds of nests, with many species taking up residence in burrows or crevices, which may be sequestered in the ground, along cliff faces, among rocks, under tree bark, or between tree roots.They can bite if provoked, but are not venomous to humans and are sold as pets! ewww! how cool!! 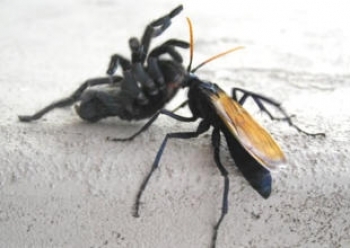 The Tarantula Hawk... Body lengths measures up to two inches, and the wasps are rather robust, which provides good protection during encounters with tarantulas. The insects are metallic blue-black with wings that are blue-black, orangish or mahogany in color. This is another group of insects which, like velvet ants, have aposematic coloring – that is, conspicuous warning coloring – which warns potential predators that this is a meal that might be more painful that it is worth. Harmless Wind Scorpion aka Sun Spider aka Camel Spider. No they do not chase you, they want the shade you make... Yes they can bite if provoked, but have no venom at all.